The sequel of Thiruttu Payale which had Jeevan, Sonia Agarwal, Abbas and Malavika is all set to have a top actress play the lead. According to sources, it is none other than Amala Paul who will be playing the lead in the film. The film directed by Susi Ganesan has Bobby Simhaa in the lead with Prasanna playing the baddie. Party time for Malabar beauties! Amala Paul, Rajini’s next heroine? This page hosts a weekly slideshow related to Tamil movies. Each slide includes a picture and some description about that picture. All the slides will have a recurring theme. People looking for actress stills, actress images, actor stills, actor images, movie stills, movie images, and other interesting topics, relevant issues in Tamil cinema will find this page useful. 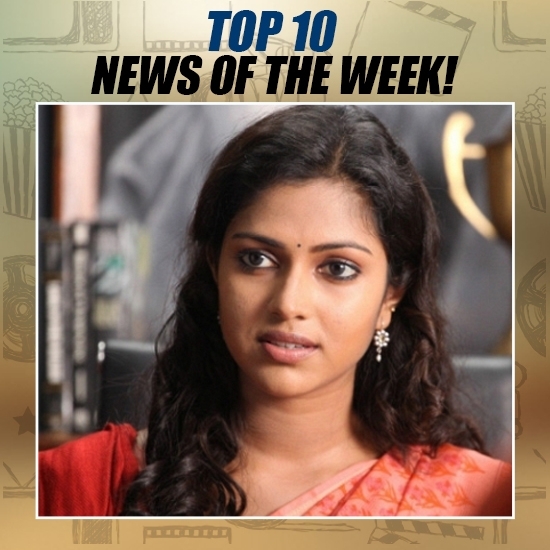 BREAKING: AMALA PAUL TO PLAY THE LEAD IN A POPULAR SEQUEL | Top 10 news of the week (Oct 23 - Oct 29).